Should the US industry be concerned by the small but growing trend of tissue coming from Asia? 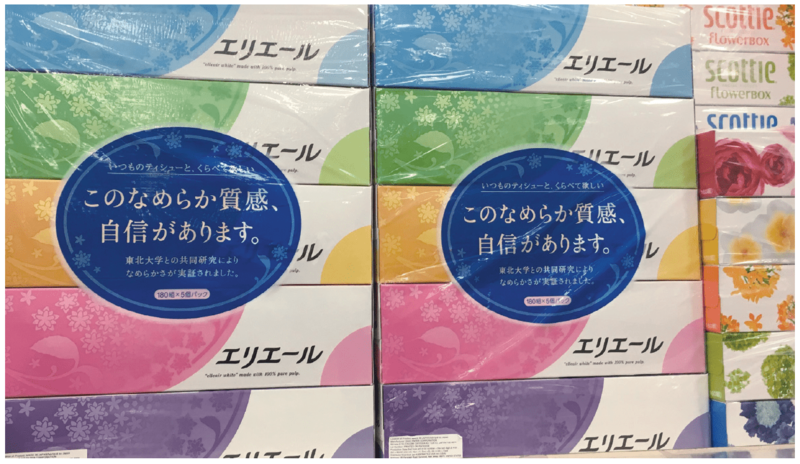 Imported bath tissue, kitchen towels and napkins are being sold in discount grocery stores and large supermarket chains in Chinese, Japanese and Korean enclaves in large metropolitan areas. Will shipping costs allow that to work? 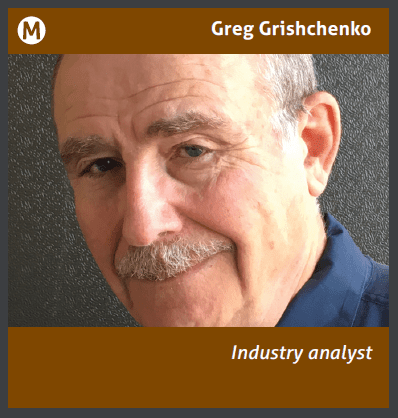 Industry analyst Greg Grishchenko reports. Tissue – the paper industry’s bright spot – continues to grow steadily and globally, absorbing resources from declining writing paper and newspaper businesses. As a consumer market commodity, the sector’s products are being exported across the globe with increasing pace. It hasn’t, to-date, been profitable to ship products on any kind of volume level from, say, China, to be sold on the shelves of Asian, and US discount stores and supermarkets in US towns and cities. But the shifting trends of consumer goods across the world have many sources: GDP; the growth or decline of the middle class; demographics; political and military upheavals; cultures. A few examples will show how dramatic the changes can be. For newly independent countries such as those of the former Soviet Union in Central Asia (Kazakhstan, Uzbekistan, Tajikistan and Turkmenistan), the export of tissue and related goods makes sense. This region’s tissue industry can be explained as an inheritance from the collapsed Soviet empire building paper mills in the North to be closer to abundant forest resources. Currently, consumer tissue needs for this region are fulfilled by the growing and prosperous Turkish paper industry. In Latin America, as recently as 25 years ago, Venezuela was one of the richest countries in South America with three major domestic tissue paper manufacturers – Manufacturas de Papel, Papeles Venezolanos and a Kimberly-Clark (K-C) subsidiary. Today, its local tissue manufacturing has collapsed. K-C has left the country, and struggling citizens walk across the border to neighbouring Colombia, bringing back jumbo packages of bath tissue alongside food. In addition to political and military conflicts, consumer tissue export and import activities continue to be driven by economic and demographic aspects. However, in the USA we are seeing a peculiar trend connecting tissue consumption and ethnicity in developed markets. Exporting tissue products into the USA is a risky business. Being home to the top global players in tissue products – K-C, Georgia-Pacific and Procter & Gamble – and having consumers with the highest per capita tissue consumption, should the $17bn US retail tissue market be concerned with the small but growing slice (around 1.2%) of tissue coming from Asia? Presently imported bath tissue, kitchen towels and napkins from China are not only being sold in discount grocery stores but also in large supermarket chains in Chinese, Japanese and Korean enclaves in large metropolitan areas in the USA. Tissue production and converting is a completely automated process where every step from tissue forming to cutting and packaging is performed with minimal human involvement. Labour costs are limited to 15-20% of total, and costs across the globe comprise nominal variation. Profit margin pursuit occurs around energy consumption, shipping, handling, advertising and distribution. The most profitable export format can be illustrated by the modus operandi of Solaris Paper, the US-based converting subsidiary of Chinese/Indonesian Sinar Mas Group – parent company of Asia Pulp and Paper (APP). Solaris Paper claims its new bath tissue Fiora is the fastest growing brand in the United States consumer tissue market. Along with its sister companies Mercury Paper and Oasis Paper, Solaris obtains jumbo roll shipments from China in 40ft containers with up to 28 tonnes of jumbo rolls. This volume can be converted to 120,000 bath tissue rolls with the price of about 70 cents per roll. So some $1,800-$2,000 shipping costs from Shanghai to California may take away a few pennies per roll from a profit margin. Other noticeable exported tissue goods coming from China in the form of bath tissue can be found in organic food isles of all the major grocery chains across the United States. True Green Enterprises based in Boca Raton, Florida, represents itself as ecologically-friendly and “women-owned”, with claims of being 100% renewable and USDA-certified as biobased product made of sugar cane and bamboo grass. Ultra Green based in Plymouth, Minnesota, also claims the ecological superiority of bamboo fibres over tree-based ones. While both companies state US-based addresses, these tissue products are quite pricy (about 50% over similar conventional toilet roll made of recycled or virgin pulp)and are exported from China under ambiguous assertion “made in PRC”. Ironically, such tissue products with strong environmental claims are coming from the country with a questionable ecological history. It is not easy, however, to explain exports of Japanese and Korean tissue products to the United States based on profits only. 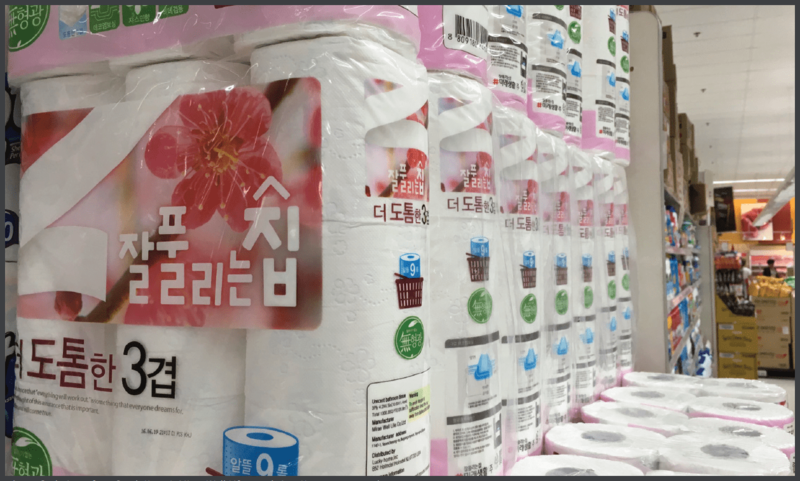 South Korea-based tissue manufacturer Mirae Well Life Co supplies its 3-ply Jaljip/Deco bath tissue and kitchen towels to H-Mart Korean supermarket chain with 60 locations in 12 US states. 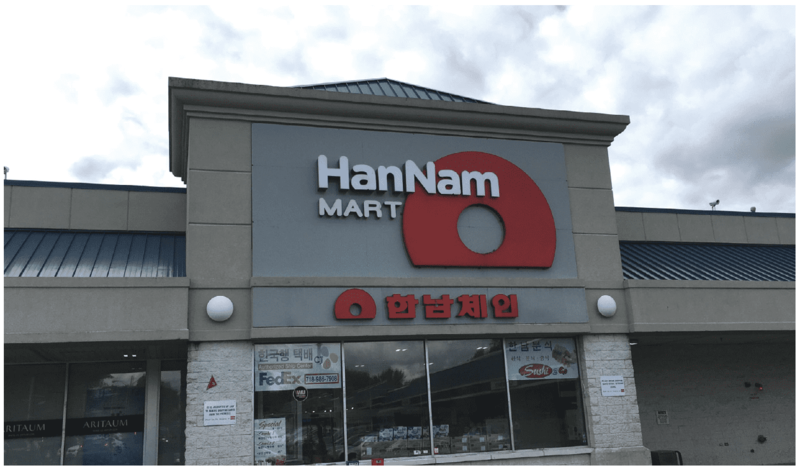 This chain is owned by South Korean-owned, $1bn grocery holding Han Ah Reum, with the majority of food groceries coming from Korea and minimal US domestic supplies (mostly fresh produce and dairy). Similarly, Japanese food supermarket chain Mitsuwa – with 10 US locations in four states – is being stocked with toilet paper, kitchen towels and napkins from three key Japanese paper companies: Elleair from Daio Paper Corporation, Nepia from Oji Nepia Co. and Scottie from Nippon Paper Crecia Co. In fact, Scottie is a Kimberly-Clark licensed facial tissue brand manufactured in Japan. Shipping converted and packaged tissue products to overseas destination is rather less profitable than jumbo rolls. For example, Korean Mirae Well Life uses shipping containers from South Korea that hold about 7.5 tonnes of finished tissue goods – almost four times less than jumbo roll load. The connection, and the marketing key, between ethnic groceries and tissue wares is obvious. It enhances profit considerations and responds to sentimental and nostalgic feelings from both immigrants and expats toward “the old country”. Share the post "Should the US industry be concerned by the small but growing trend of tissue coming from Asia?"